Phew, made this pie in the nick of time for Thanksgiving. My tardiness wasn’t due to the fact that I was disorganised, in fact my pie crust was made and ready to go and the filling ingredients were sitting on the counter but then the door bell rang and I remembered I’d booked to have my oven cleaned that afternoon. I didn’t realise that you can’t actually use your oven after it’s been cleaned for at least a few hours and by that time it was going to be way too late to get started. So I had to wait a day which bought me to Thursday, which is why this post is only getting written a day after Thanksgiving! So it might be too late to make this pie for your Thanksgiving lunch or dinner but truly, it’s so good that you could make this for dessert anytime! This is the first time that I’ve made a pumpkin pie using condensed milk. I’ve tried evaporated milk and sugar, which is the norm, and also making my own custard with milk and eggs and both produced great results but this was by far the best and I don’t think I’ll veer away from this super easy recipe going forward. 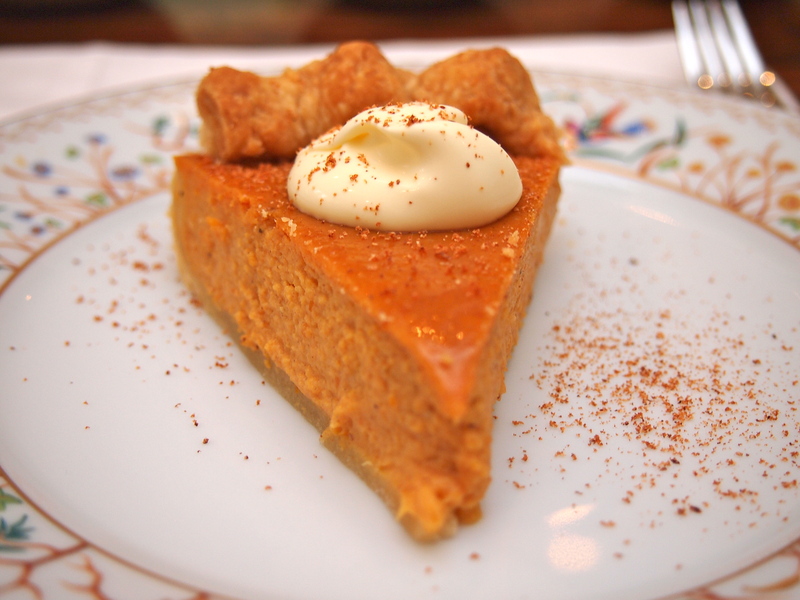 Hope your Thanksgiving was wonderful and if you missed out on a slice of pie, then make this soon, it’s never too late for pumpkin pie! To make the crust place the flour, sugar and salt into a food processor and pulse to combine. Add the butter and shortening and pulse until the mixture resembles very course bread crumbs, you still want to see some butter solids. With the motor running add the ice cold water until the mixture just starts to form a ball in the machine. 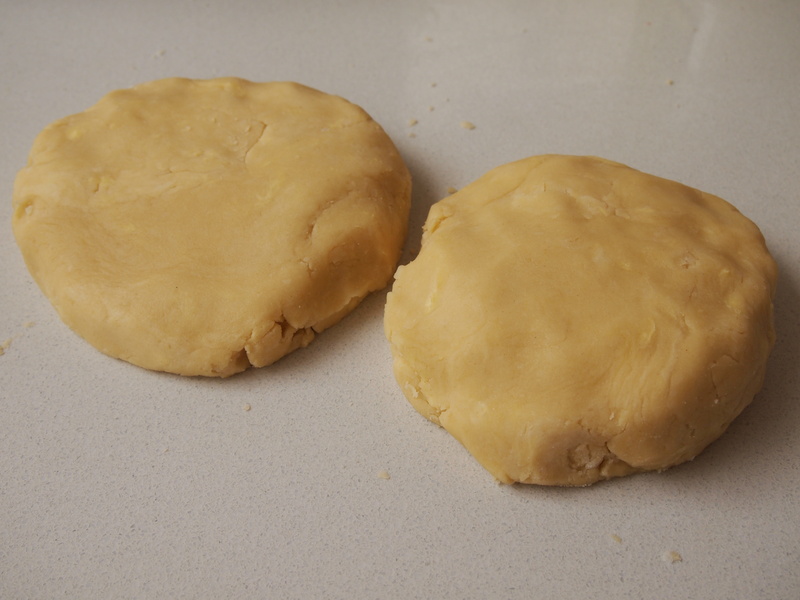 Remove the dough and form it into a disk and refrigerate for 30 minutes. After the resting time place the dough on a floured surface and roll it out to be about 1 inch larger than your pie dish. Keep moving the dough and flouring the board to ensure it doesn’t stick. Carefully place the dough into the pie dish and roll the overhang around the edge of the pan to create a rim and then crimp. 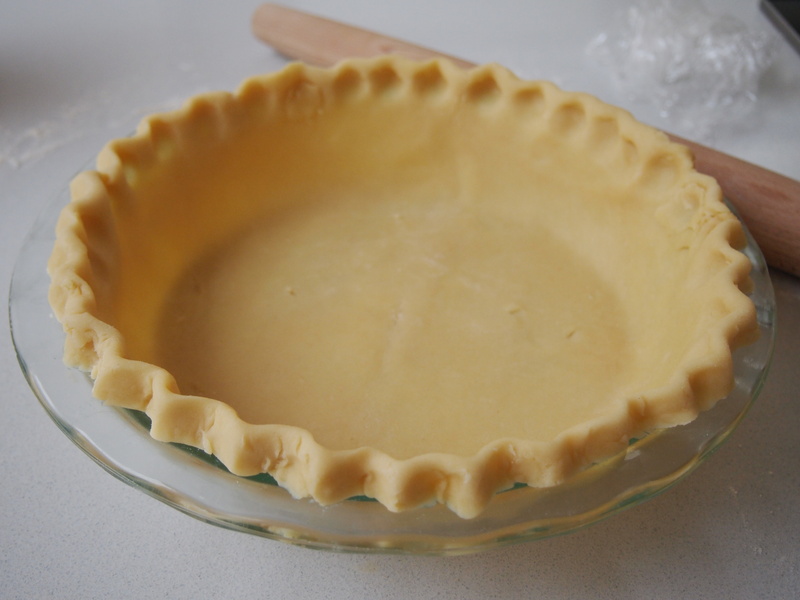 Place the pie crust into the fridge until ready to bake. Preheat oven to 210C. 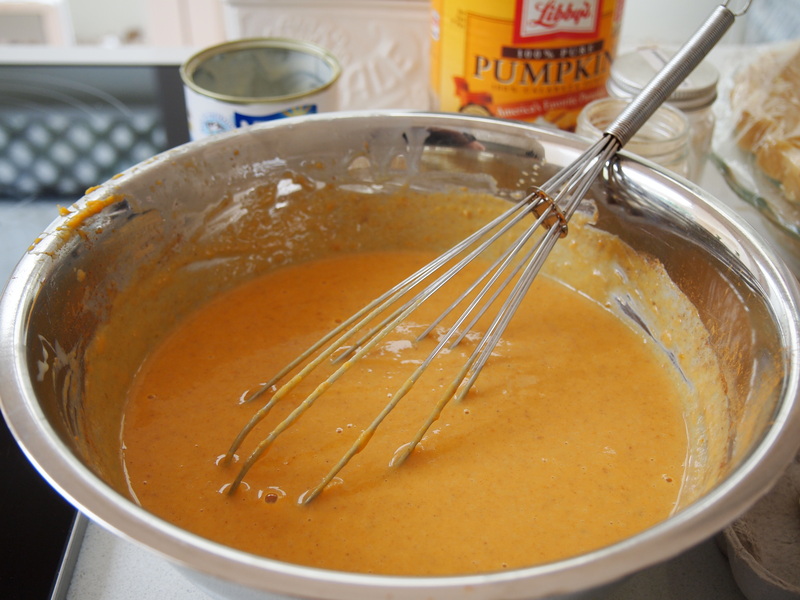 To make the filling put the pumpkin puree into a large bowl. Add the egg and egg yolks and whisk to combine. Add the condensed milk and whisk to combine again. Add the spices and give it a final whisk to make sure everything is well distributed. 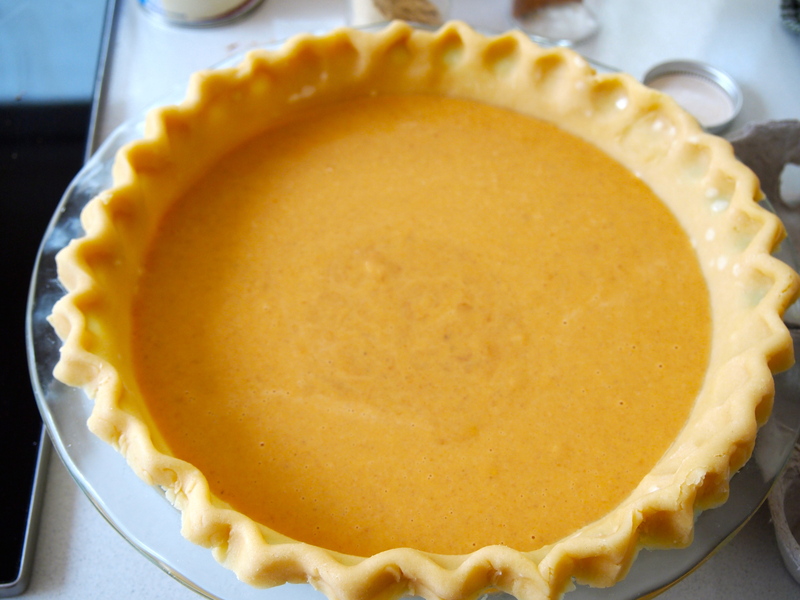 Pour the filling into the pie crust and tap it on the counter a couple of times to get rid of any air bubbles. Place the pice in the preheated oven and bake at 210C for 15 minutes. Then lower the heat to 180C and bake for a further 30-35 minutes or until the pie just has a slight wobble in the centre, it will continue to cook and set as it cools. 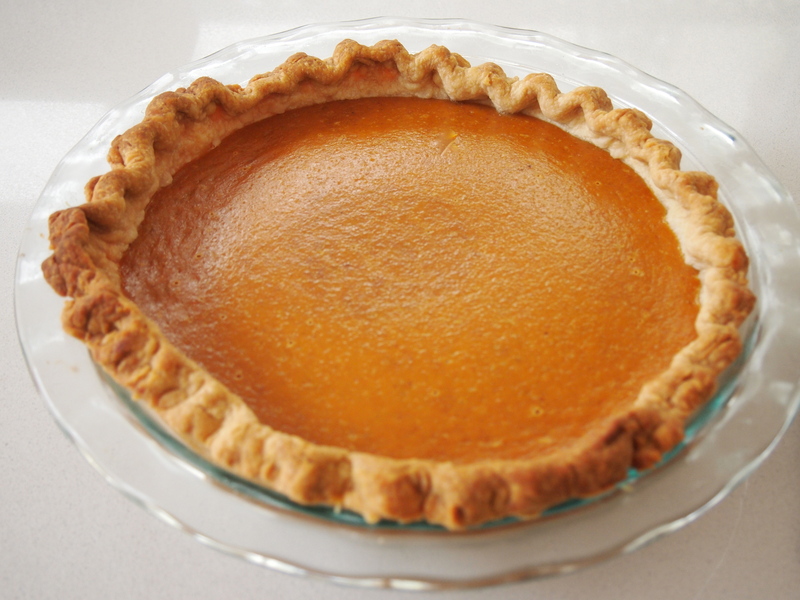 Bring the pie to room temperature before chilling or attempting to slice. 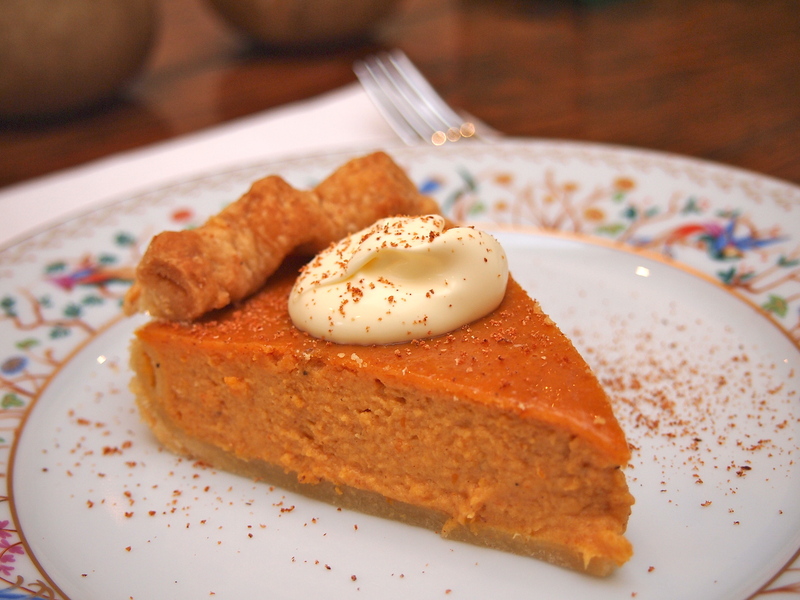 Serve with a dollop of whipped cream with a little extra grated nutmeg on top.